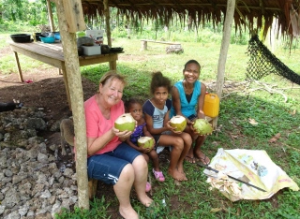 Mrs Joan Middlemiss and her husband Peter are currently completing voluntary service abroad in the Vanuatu Islands. Mrs Middlemiss’ work involves education development in rural Vanuatu and she has requested our support by way of donating to this worthwhile cause. The goal is to reach $3000 and any contributions would be appreciated and beneficial!